Oct. 5, 2018, 10:17 a.m.
Plus: A U.K. report calls for governments to tread cautiously when it comes to fake news, as some other governments seem prepared to do the opposite. By Laura Hazard Owen @laurahazardowen Oct. 5, 2018, 10:17 a.m.
C’mon, guys, look at the source! So if you’re assessing the credibility of a possibly fake image online, you’re looking at stuff like the source, how many times it’s been shared, and what the image shows, right? Not so much, according to a new study out of UC Davis. Instead, what matters are digital media literacy skills, experience or skill in photography, and prior attitudes about the issue. Our goal was to understand (1) how viewers evaluate image credibility online and (2) what contextual cues and features (image-related and non-image-related) impact their credibility judgment. By including only fake images in the study instead of using unaltered, original images, we wanted to avoid the possibility of the participants having previously encountered one of the images. Such familiarity could have influenced their credibility evaluation without consideration of the features we attempted to test in this study. In other words, seeing that an image was from BuzzFeed, NPR, or The New York Times didn’t make users more or less likely to judge them as credible. The researchers also re-ran part of the experiment (judging the image of the genetically modified cat/mouse) with a group of college students and saw similar results. Shen called the findings of her study “upsetting,” and there is indeed a strain of #lolnothingmatters here that should be somewhat alarming both to publishers and to proponents of fake-news-fighting tools that rely heavily on identifying reliable sources. 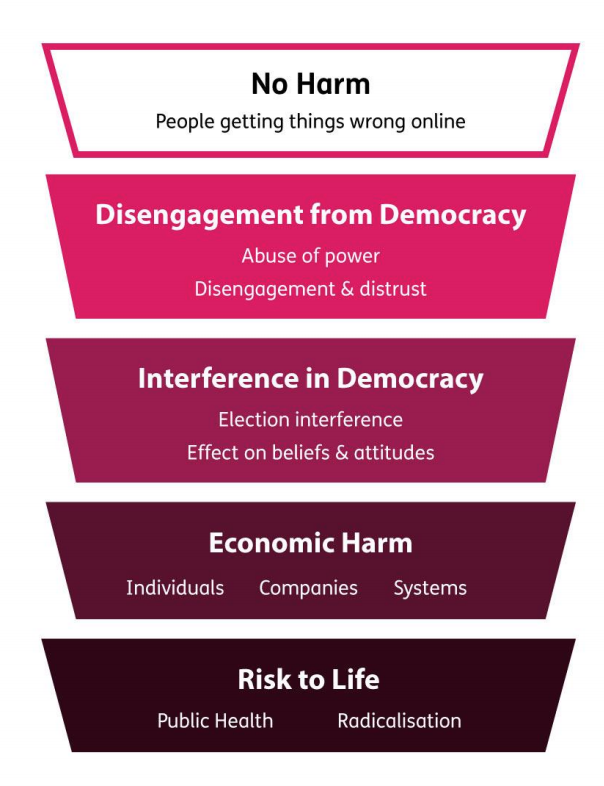 “Recognize that the greatest risk is of government overreaction and put the protection of free speech at the forefront of every discussion about tackling misinformation in its many forms,” the authors write. “We should take advantage of the window of opportunity we have to consider and deliver a proportionate response.” The areas where they see the most urgency are updating U.K. laws and transparency around political advertising. A piece of inflammatory or violent content that would typically be quickly contextualized or deemed newsworthy in the United States and parts of Europe might be allowed to remain on the platform, while it would be removed in other countries where it is more likely to be quickly decontextualized, weaponized, and reposted. Last week, Wikipedia editors held a similar vote for Occupy Democrats, a progressive website. As it’s a political activist movement outlet, and not a reliable news source, it can’t be cited on Wikipedia as fact. They also started a discussion for InfoWars’ reliability, but the vote was closed, citing the “Snowball Clause,” that no sane editor would cite InfoWars in the first place (giving it a “snowball’s chance in hell” that it’d be used and left up on the site except in exceptional cases.) In any case, InfoWars is also generally banned from being a source on the site. POSTED Oct. 5, 2018, 10:17 a.m.
Owen, Laura Hazard. "A new study provides some dispiriting evidence for why people fall for stupid fake images online." Nieman Journalism Lab. Nieman Foundation for Journalism at Harvard, 5 Oct. 2018. Web. 18 Apr. 2019. Owen, Laura Hazard. "A new study provides some dispiriting evidence for why people fall for stupid fake images online." Nieman Journalism Lab. Last modified October 5, 2018. 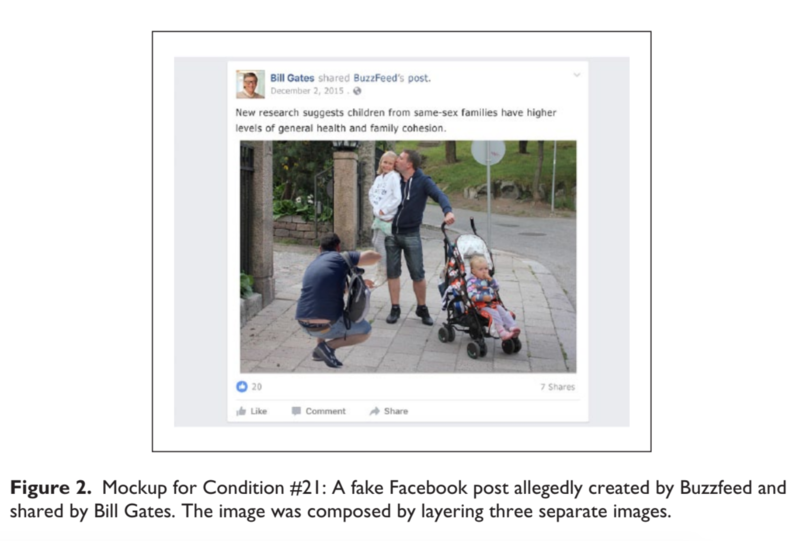 Accessed April 18, 2019. https://www.niemanlab.org/2018/10/a-new-study-provides-some-dispiriting-evidence-for-why-people-fall-for-stupid-fake-images-online/.